I love to help companies shape their future architecture. Become customer-centric. Exploit digital technology. Integrate multiple channels. Help them provide consistent and ‘lovable’ customer experiences. To do this, we also need to reinvent our organisations and design them as living systems. One of my favorite activities is to design an enterprise target model together with business and IT people. The target model is the compass to guide the transformation. It describes the critical layers and components that we need to put in place to remain successful in the future. Think of elements like the customer journeys we want to appear in, the channels we are using to interact, the services we provide, the data we use to personalize and how we connect the customer experience with our back-office processes and tools. People buy the principles of this target architecture almost always. To put it really in place and make it work however, organizational structures need to be adapted too. It is my experience that a customer oriented target architecture will not work if it’s not accompanied by a customer oriented organization model. How can we convince our employees to put the customer first if our organization model does not fit the purpose? 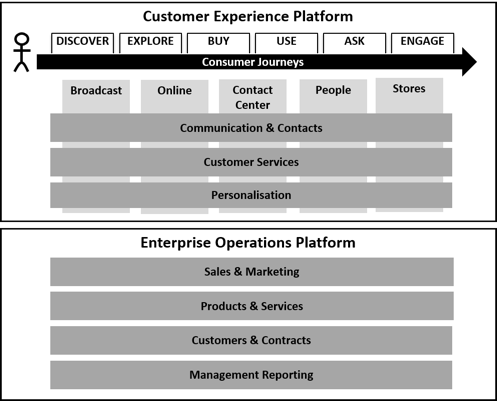 How can we ensure a consistent customer experience if our organization is still organized in functional silos that interact independently from one another? How can we improve and innovate products and services in a fast way if investments and decisions need to travel through complex company hierarchies? How can we differentiate in the market by collaborating with other companies and create high value partner networks? Just to mention a few challenges. A lot of interesting stuff is going on around new, more networked organization models. Looking at organizations as living systems, to cope with complexity and stay flexible in dynamic markets. As an enterprise architect, I think we also need to take the organizational dimension into account. Designing new enterprise architectures without changing organizational structures is like trying to fit a square handle into a round hole. I am enjoying my holidays to dive deeper into these models because I believe they have the potential to make our organizations much more soulful places to live in (to quote Frederic Laloux).